Some persons are bigger than others, and some guitarist simply crave more volume from their instrument than do others. Very often volume is an issue with the steel string acoustic guitarist, and especially so in any kind of folk ensemble featuring much louder instruments such as the mandolin, the fiddle, or the banjo. Very specifically the first dreadnought guitars were built to combat this very issue—volume. The dreadnought guitar, however, often still lags far behind the volume of the other stringed instruments, and even in the cases of the players with the most powerful plectrum hand attack. Yes, of course, acoustic electric guitars are available, also a pre-amp and acoustic pickup can be installed in virtually any acoustic guitar. Electricity, however, isn't always an option. Most die-hard amateur or professional flat picking guitar enthusiasts aren't much into that sort of thing, they want a volume that doesn't need electricity. Parking lot jam sessions, living room jam sessions, camping ground jam sessions all demand that the acoustic guitar and the guitarist that wields it be able to compete on the volume scale with other louder instruments. The instruments I will list here will be the picks of Jumbo sized acoustic steel string guitars that I selected myself based upon my experience with these exact instruments, or my experience with other instruments produced by the manufacturers of these instruments. The instruments I intend to discuss here will also be selected based upon price. It is my contention that very few persons can afford something like a Gibson SJ-250 Monarch at over twenty thousand dollars. I will not, however, be selecting the least expensive Jumbo guitars, as that would be a different topic altogether. These are my preferred instruments from major American manufacturers. 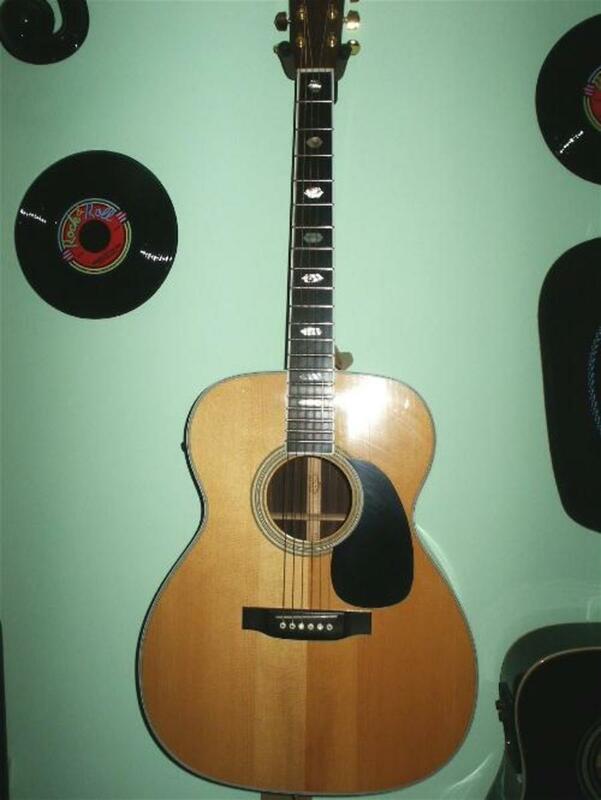 The Gibson J-100 Extra. Shown with a sunburst finish. The Gibson Guitar Company made the first of the great Jumbo guitars, and they make several of them still. The Gibson J-200 and SJ-250 Monarch are two of the most instantly recognized (and thus, famous) guitars in the entire world. In the world of acoustic steel string guitars, the Gibson J-200 body style or configuration is as easily spotted by even the least musically inclined eye as is the Martin dreadnought body style. I assure you that people notice the shape and dimensions of these guitars without even noticing they'd noticed. 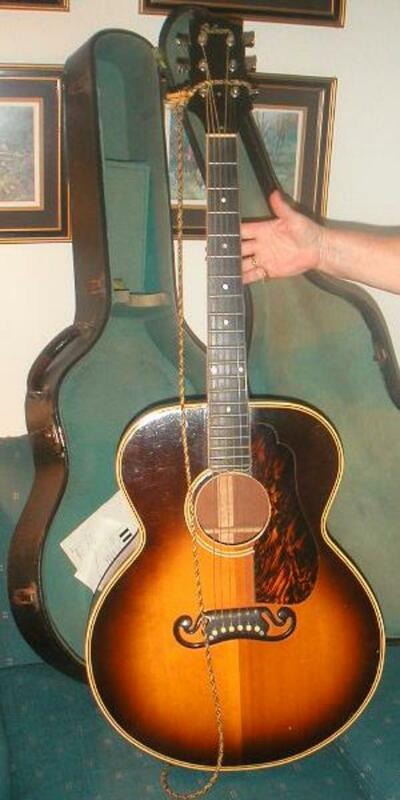 The lesser known Gibson J-100 Extra, however, would be my pick of the litter over any other Gibson guitar. It is in the neighborhood of five thousand dollars for a J-200, and twice that for n SJ-250 Monarch, and I assure you that spending that money for those truly masterpiece guitars is simply a stupid decision for the majority of people who might want one. The Gibson J-100 Extra is virtually the exact same guitar, and the J-100 Extra costs a fraction of what its overly expensive and dressed to kill kinfolk costs. A real musician loves an instrument for the way that it feels and sounds to them —all the gold plating and abalone inlay in the world is only pretty to the eye. Real musicians do not choose their instrument based upon looks—ever. Now, most certainly, every guitar is a unique creation. No two are ever the same, regardless of whether they were built to the exact same specifications, from wood from the exact same specimens of wood from the various trees, or by the exact same luthier. So, if a twenty thousand dollar SJ-250 Monarch sings to you with your eyes closed, then maybe you should, if possible, purchase that instrument in order to pursue your dreams. It could be the J-200 just feels better in your hands than the fancier SJ-250 Monarch, and beautiful music doesn't come from gold plated things, it comes from skill, and love, and practice. Dear friends, there is scant difference between the SJ-250 Monarch, the J-200, and the Gibson J-100, Extra but all J-100s are excellent guitars, all solid wood construction, all have solid spruce soundboards, but some might be of solid maple for the backs and sides, others of solid mahogany —depending on what year the instrument was made. 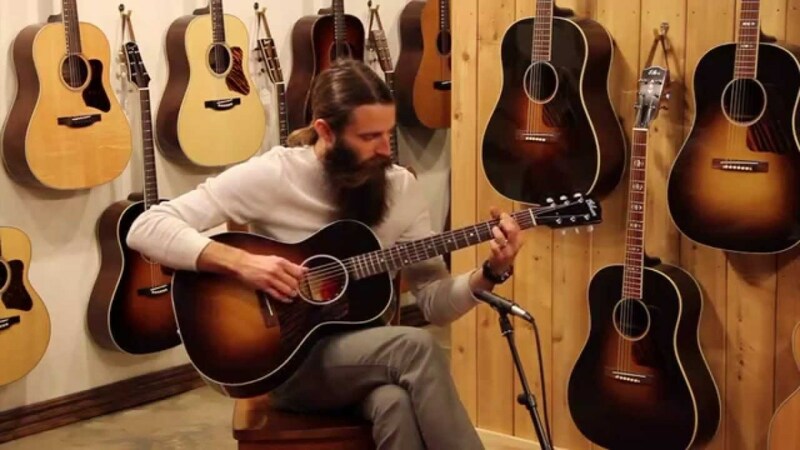 The Gibson J-100, J-200, and SJ-250 are all the exact same size, and this is the largest standard production steel string acoustic guitar in the world. 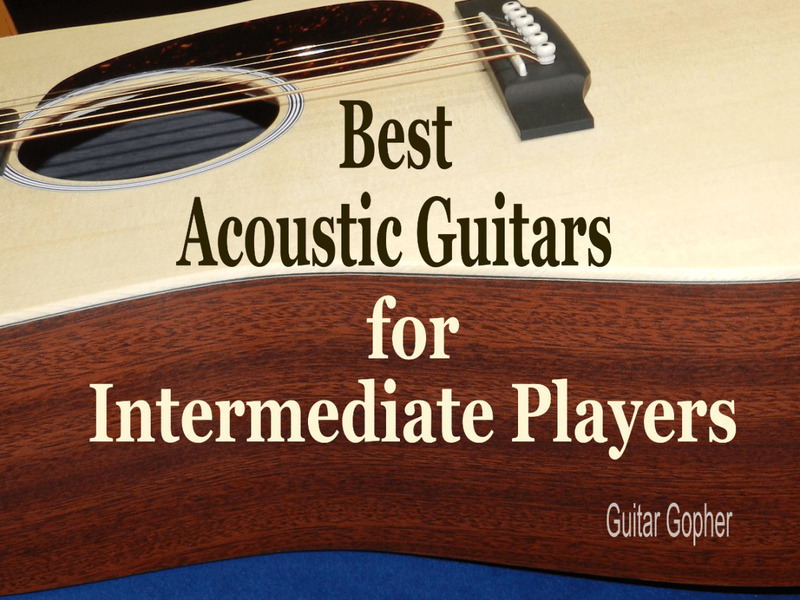 No matter what your style of play is, these guitars can deliver for you. There is a very wide price range associated with these guitars. I'm seeing them anywhere from fifteen hundred dollars all the way up to twenty thousand dollars based upon the year in which the instrument was made. It should be quite obvious that the older instruments in good condition sell for very high prices, and the newer ones in the same condition, for much much less. How could there be a review of the best jumbo acoustic guitars without Martin's entry into the field? I've played these guitars many times, and I wish that I owned one. While properly set up Martin dreadnought guitars are always very loud instruments, the Martin jumbo guitars are certainly going to be even more so, and besides that, they are all that is expected and desired from every instrument that is produced by C.F. Martin & Company, the world's most renowned and desired manufacturer of acoustic steel string guitars. The Martin J-40 is an all solid wood instrument of rosewood back and sides and spruce top, so it produces the kind of sound that has forever been desired and provided with the smaller D-28, but this guitar will be a bit louder for having the larger size, and would also have more of a bass response. C.F. Martin & Company do not truly compete with Gibson guitars at all, they are very different from the inside out, and are constructed to produce a very different tonal response. Between any two comparable Martin or Gibson instruments, there is no "better," or "best," outside of purely subjective opinion of either the player or the person listening. The Martin J-40 is hardly the only jumbo sized guitar C.F. Martin & Company have in production or have produced in the past. As with all Martin names, a lot can be learned about the price of the instrument from the numerical value associated with it and following the letter value. When Martin puts a "40" after something, you know it is a rosewood and spruce instrument already, and that it is a dressed up instrument featuring a lot of abalone inlay. For persons desiring to own a Martin jumbo acoustic guitar, I provided the J-40 on this list purely because it is the most widely produced Martin Jumbo, but no reason to fret over the nearly five thousand dollar price tag on this guitar, there are less costly alternatives, and should you wish to truly be the guitarist with a sound not commonly heard and an instrument not often seen, then Martin has made a terrific all mahogany guitar of the same jumbo dimensions as the J-40, and the J-15's price is very, very reasonable. It would be a terrific mistake here to assume the author has placed these instruments in a specific order regarded best to least great. Nothing could be further from the truth. Taylor is only a newer American acoustic guitar manufacturer, and so their instruments date back less far on the calendar. Though it is obvious the big three American acoustic guitar manufacturers are competing against each other for sales of instruments, the respective instruments of Gibson, Martin, and Taylor are all very different. They will all not just look different, they will feel different and sound very different. 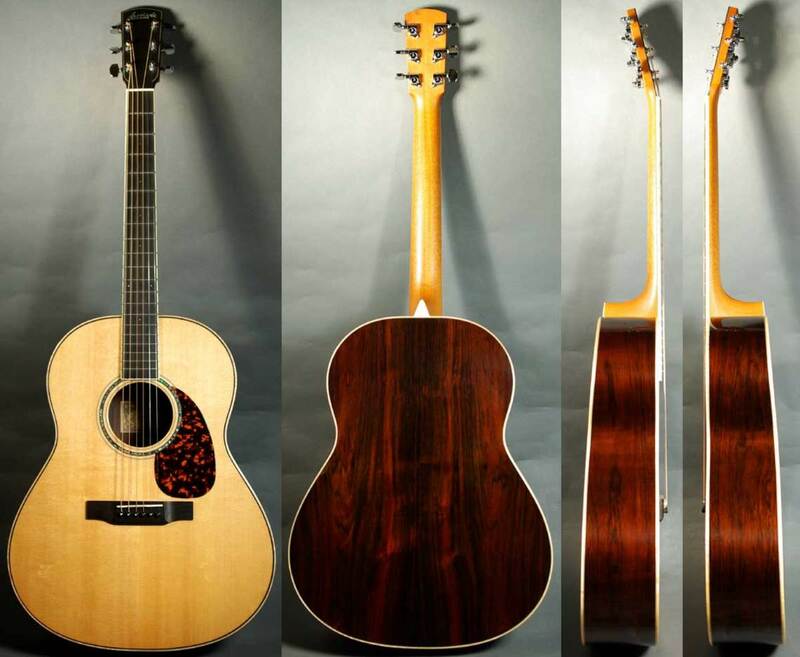 The Taylor 815 jumbo acoustic guitar is an all solid wood rosewood and spruce top guitar just as is the Martin J-40, but Taylor guitars are built and braced or "voiced" in a totally unique way. While the Taylor 815 will still have a rosewood guitar sound and resonance, it will not sound like the Martin at all, Taylor guitars have their own unique sound. In acoustic guitar circles, and especially with flat-picking style guitarist, there are probably more comparisons between Taylor guitars and Martin guitars than there would be between Taylor guitars and Gibson guitars. While Martin's rosewood guitars are sometimes considered to have an overly powerful bass response that could overpower the mid-range and treble response, with Taylor guitars of any variety, the opposite is sometimes thought to be the "drawback." For this reason, that Taylor instruments often seem to feature more mid-range and treble-dominant tonality, a Taylor rosewood instrument would seem to be the optimal rosewood instrument for someone seeking a very balanced tonality from such a guitar, and so much more so the jumbo Taylor rosewood guitar, as jumbo guitars are especially prone to having a very strong bass response. When shopping Taylor guitars, there are several details that ought to be known about the guitars Taylor produces straight away, and among the foremost things to know is that most Taylor instruments come from the factory with a pre-amp and a pickup. In other words, they are set up from the start for acoustic-electric play. No, I have no idea what the exact percentage of acoustic-electric vs pure acoustic guitars that Taylor produces. What I know for certain is that probably half, or more than half of all the Taylor guitars I've put my hands on in my life (several hundred individual guitars)—were acoustic electric. I also here featured a second image of the Taylor 815, and the second image is of such an instrument with the added tags on the model name "ce," and these letters merely mean "cutaway," and "electric." Now, not all Taylor 815 jumbo guitars that have a cutaway design look just like the image I've provided. Some Taylor cutaway guitars (of any model) have a very sharp edged cutaway rather than the type or design of the cutaway in the image shown here. The type of cutaway shown in the image I've provided would properly be called a "Venetian Cutaway." Need proof of what a great jumbo guitar the Taylor 815's are? Just price them on the web, and you'll soon see that the older ones are appreciating in value, and in great condition, are selling for more than new ones. We live in the golden age in regards to acoustic guitars. Never before has there been available so far and so wide so many extremely fine makes and models of all sizes and styles of instruments. Out of Canada, Larrivee guitars are truly making for themselves a following, as every instrument they make is terrific, and they are sold at more reasonable prices than a bigger name such as either Martin or Gibson could sell their wares at. Here in Texas, Larrivee instruments are so commonly seen, but I've sure seen a lot of them, and I've sure been impressed every single time I had the opportunity to play one. I'm basically a poor boy, and not a professional musician at all. I'm just a lifetime acoustic guitar enthusiast that loves nothing more than to drink some good beer, and then go hang out in a guitar shop for a while, spending a few minutes with practically ever acoustic guitar in the entire store. The Larrivee J-09 is a terrific rosewood and spruce jumbo guitar, and Larrivee seems to direct their instruments towards competition directly with Martin, and they do so very well. 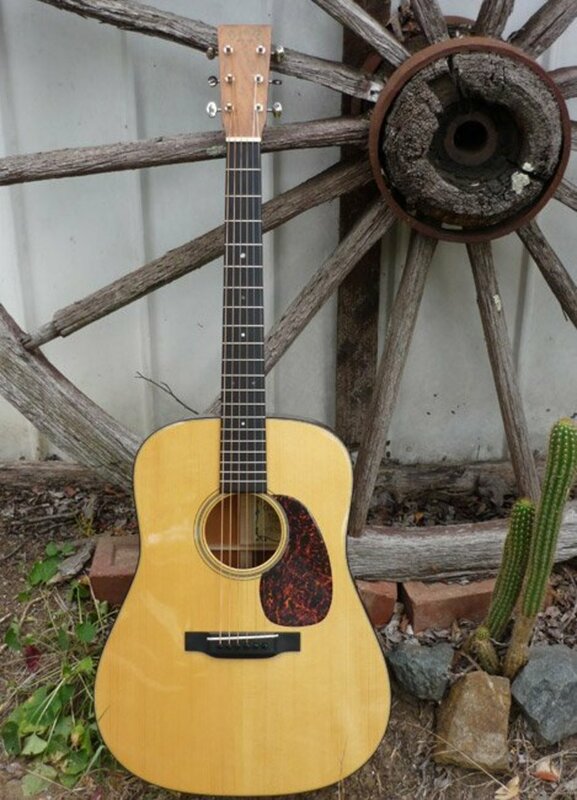 I would suggest that one interested in the Martin J-40 also take a look at this fine guitar by Larrivee, as the J-09 will certainly cost a bit less, and won't provide anything less in value at all. This guitar is not as dressed up with abalone inlay as is the Martin J-40, but is every bit as beautiful in its own way. Should the shopper have the chance to sit down at a Guitar Center, or some large distributor like one, and spend a good thirty minutes with each of these instruments, and having the funds to choose the one they like the best, well, that is what it would take. I am very certain that as time goes on, the Larrivee brand name itself will allow for such guitars to appreciate in value just as all fine guitar makes and models do. The Breedlove Cascade J25/CRe is very very different from all the guitars mentioned above. The four previously mentioned jumbo acoustic guitars are all somewhat traditional, although all three other than the Gibson J-100 Extra are available with acoustic-electric electronics, the Breedlove guitar here might BEST be described as altogether and totally non-traditional. Now just look at the shape of the thing, isn't it so very cool, and so very different? Well, it is, and then the differences and innovations do not stop there—no. There are all manners of things done differently from the insides out on this guitar. The Breedlove Cascade J25 is an all solid wood construction guitar with rosewood back and sides, but this guitar is entirely different from all four mentioned above in that this one features Western Red Cedar on the soundboard rather than spruce. Now, if you've read up on your guitar tonewoods, and have spent days on in inside guitar shops like I have, then probably you know the notion of Western Red Cedar soundboards on a jumbo sized guitar doesn't sound like (on paper) a good idea at all. 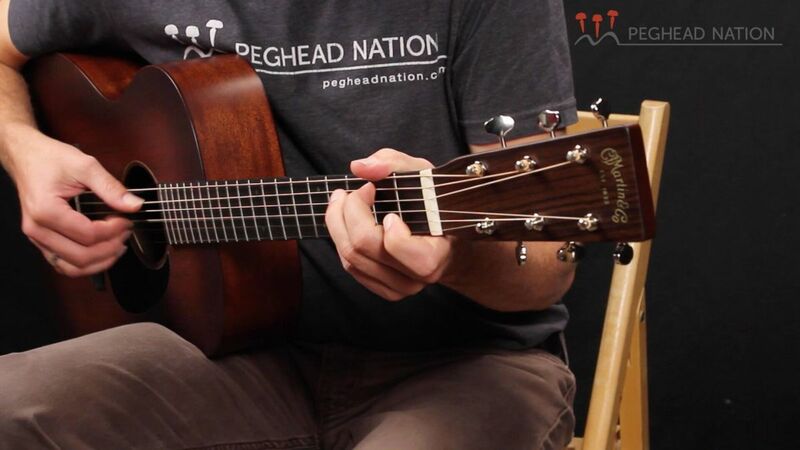 Cedar top instruments are often thought to sound terrible when played hard, but I assure you this isn't always so, and that today's guitar builders know how to create things the right way—Breedlove's guitar builders are as good as they come. The Breedlove Cascade series guitars feature Cedar tops, and the tops are graduated in thickness, and what this means is the top has been studied inside and out and is shaped inside and out, it is not a uniform slap of high-grade wood, it is graduated in thickness. Breedlove makes some extremely fancy and extremely expensive instruments, but this guitar isn't one of them. This all solid wood acoustic electric with modern stylistic curves is the single best deal here and is my pick for the money unless one just happens to be a stickler for traditional shaped and voiced instruments. For just fourteen hundred bucks, I'll take this Breedlove all day long. I've not concentrated on specifics for prices with any of these instruments, and the reason for this is there are too many variables involved for me to provide specific prices. The Gibson J-100 Extra may or may not be in production at all in any given year, Gibson has a habit of reintroducing things and then discontinuing them again. One just never truly knows what Gibson will do or be doing next, but also of consideration here with large Gibson brand guitars for those interested would be the Gibson Everly Brothers guitars, and again, those instruments have been in and out of Gibson production more times than it is reasonable to mention here. 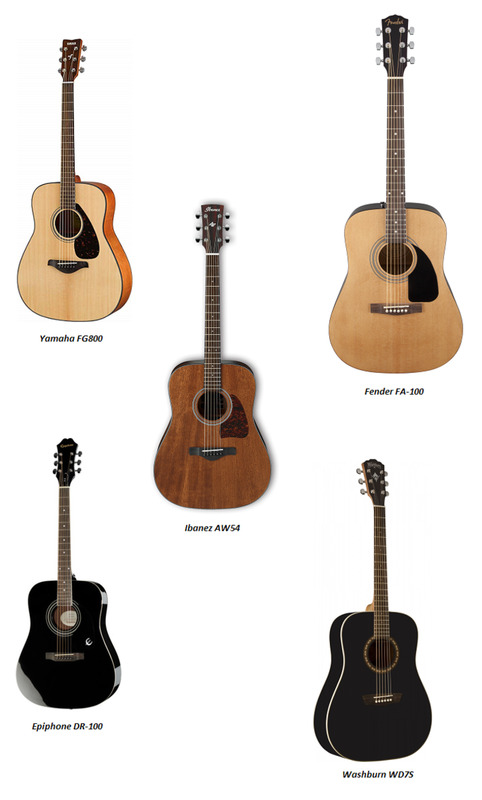 All four: Martin, Taylor, Larrivee, and Breedlove guitars make more jumbo models than just the ones I've listed here. What I hope to have done is list the instruments those manufacturers provide that are likely to be the most common. All four are available either with or without an onboard preamp and pickup for acoustic-electric play. While I'm not aware specifically of Martin or Larrivee offering the instrument I listed here with a cutaway, they both have custom shops. I'd bet the farm they would gladly build someone a cutaway instrument should you place the order. Dimensions: I did not bother with listing the specific dimensions of these jumbo guitars because if the player or shopper is overly concerned with the dimensions, then they probably are not truly in the market for a jumbo guitar. All jumbo instruments should be expected to produce a strong to dominant bass end response when played. Some of these instruments will be more tonally balanced than others, but again, that is just the nature of the jumbo, and this is to be expected. As with all musical instruments, what is better, worse, or best is mostly subjective or relative to both the player's preference and the unique instrument itself. I hope you enjoyed my overview of the five jumbo guitars that I think might be of the best offered from American manufacturers of Canada and the United States. Happy picking, strumming and singing to all. What is the easiest-playing brand of jumbo-sized acoustic guitar (I realize each guitar varies, and the setup determines a lot)? 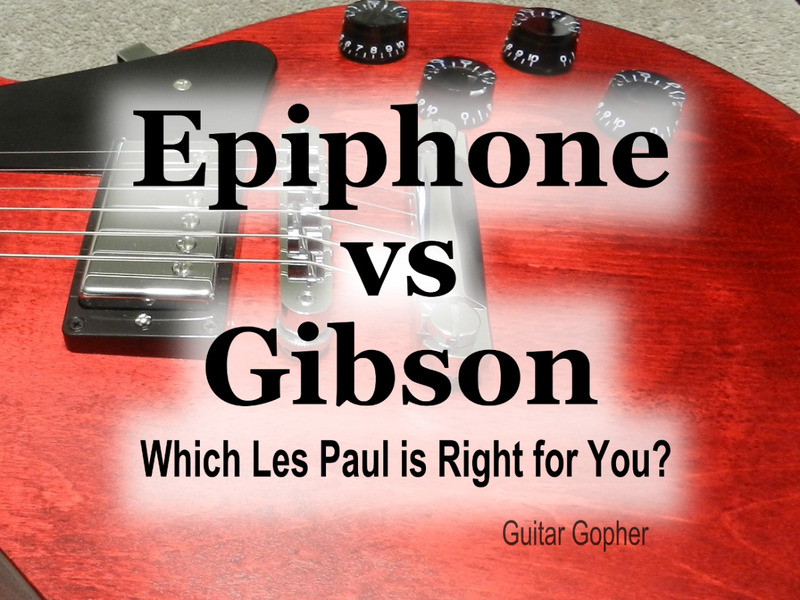 I currently have a jumbo Epiphone and have trouble with barre chords. 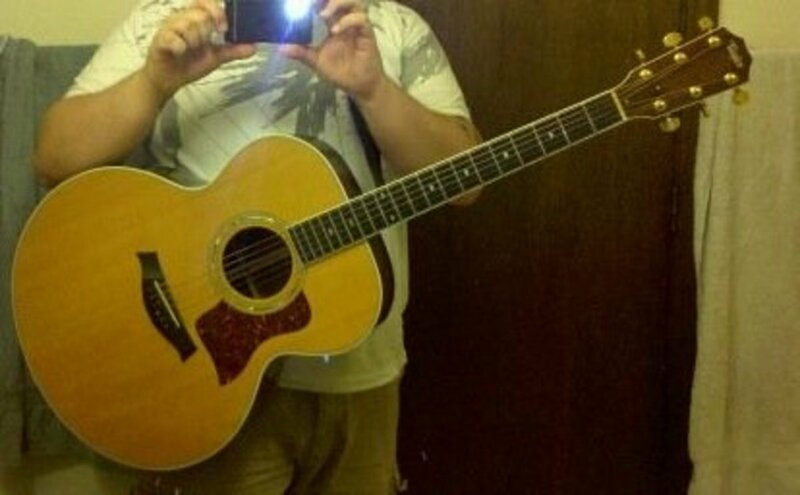 I had neck, shoulder, hand and back injuries, but can play "ok" - just have trouble with barre chords, so am looking for a big-sounding acoustic that's easy to play. I would wonder what size strings you are using. Go for light gauge strings. Everyone has trouble with barre chords at first, or after some injuries. It could also be that your set-up is causing the strings to sit too high, and that could be relieved with some adjustment of the truss rod. This is the golden age of guitar building, Loren, and there are more fine guitars out there than anyone can name! A friend plays a gorgous hand made Criss Cross jumbo, but I just bought a 30 y o Yamaha jumbo, I love it. I do not know when they changed it. I wonder if Martin is using the the rear shifted X bracing on much of anything outside the Dan Tyminski model D-28, and twelve string guitars? Someone told me I was...totally wrong about the 12 string D-28's not too long ago, the person said they even use a high X on some 12 string models; but I don't believe that is common at all. I wonder if using medium strings on the small three strings, and light strings on the big three would help even out the J-40 insofar as the volume goes? Martin emphasizes the "balance" of the J-40 vs. the dreadnaughts, not the bottom end. It is hard to imagine any acoustic more bassy than a D-45. Currently, Martin J-40s have advanced X bracing but this was not the case in the first editions I think. Anyone know when the advanced X bracing of the J-40's started? Was there a point to your comment? Thanks very much, littlerocken , I think I just love all steel string acoustics, really. I'm more accustomed to a dreadnought size, but I'd love to own a jumbo sometime. I think they make for powerful rhythm instruments. I love big body guitars, more sound. Hey Guitar Gear! Thanks for the comment! I'm pretty sure you'll be happy with Breedlove - I've thought every one of the ones I've handled were terrific guitars for the price. The Cascades have lots of options...not all of them are of the same wood for backs/sides. As a fingerstyle guitarist...I'd think the Western Red Cedar soundboard would be more to your liking than spruce so far as a top wood goes. Give us a video when you get it!!!!!!! I just purchased the Breedlove J25Cre from Musician's Friend but haven't received it yet. MF has them for the ridiculously low price of $799. Sam Ash and Music 123 are still asking $1399. I'll review it as soon as it comes in. I've never even played a Breedlove guitar but the low price combined with the 15% discount makes me feel like I've stolen it for $679. Your review sold me on this instrument. I was looking for a cheap electric/acoustic to gig with so I could save my Yairi JY-84 from the rigors of travel. Originally, I bought a Washburn WD160SWCE from MF but had to return it due to a crack at the end pin jack. The build quality and finish on the Washburn was disappointing so maybe the damage was a blessing. I was looking for a replacement and came across your excellent review. Yours is by far the best review out there. There isn't very much info. on the Cascade series which is supposed to be a step up from the popular Atlas series. Check MF. It appears they are clearing out their Cascade inventory and you can pick up various models from $749 to $799. You might want to pick one up for yourself. I was also a little skeptical about buying a Korean made guitar at this price point. I was also surprised at Breedlove's $1869 MSRP. I'll let you know when I post my review. Thank you so much for your insight and happy holidays. I'd have to wonder what type of maple the Guild you played was made with, as the denser the variety and piece of maple, the more the tonality will resemble that of mahogany, and sapele, of course, is a cousin of mahogany. So when dealing with maple...the soundboard makes more difference in tonality than with say, sapele, mahogany, or any variation of rosewood. Of course Guild braces their guitars and voices their guitars their own way. Larrivee? I've not met one yet that I didn't like - and they are usually prices really well too! Nice informative article. I've only had the chance to play a Guild F-50 (Maple) and a Larrivee J-03 (Sapele), and frankly I liked the warmth of the Larivee a bit more than the Guild. How do you rate the guild? Larrivee is another terrific brand - shoot, there are so many people making great guitars these days....it's really hard to pick a "best" in any category. I generally just pick from the brands I am most familiar with. I've always wondered what a Larrivee sounded like. Now I do. Man they have some volume. Since I'm a finger picker I really have to bear down on my guitar to get the volume I want. I broke down and bought a sound hole pickup and usually play through an amp when performing. Thanks for your review. Red Rooster, it seems like the level of craftsmanship on high end acoustic guitars is so high now....there is hardly a "best brand." Santa Cruz is one of my favorites, and they are every bit as good as Martin, Collings, etc, etc, etc. Taylor does their own designs and bracing, etc, entirely...so the Taylor instruments don't really compete directly with Martin, etc, as Santa Cruz's pre war model instruments do. I could be wrong...but I think Tony Rice's famous D-28 was a 1939 model....and then it was highly modified along the way. Never owned a Martin, never bought a Taylor, but sure enjoy my copy of a 1938 Martin (Tony Rice) by the little mentioned Santa Cruz Guitar Co. They seem to put the "C" back into craftsmanship. I've owned two Martins that I no longer own, and I own another one still of my current harem of three beautiful acoustic Ladies. I'd sure love to own a Taylor, as I've made out with a few of them in clubs, and they kiss very well, and I can only imagine how much more they could do! I once paid four thousand dollars for a Martin D-18GE...wish I'd kept it, but I sold it for less than half that during some bad times. I'll never make such a mistake again! Thanks very much, Alan, as guitars are what makes me beer money here...I'm going to go nuts with it! Looking at the prices for these acoustic guitars, I've seen cheaper real estate! Quite a choice with it. I sometimes think I made a mistake picking up a pen rather than a guitar, but I'd have had to think of another name for myself (I share a name with S Quo's previous bass guitarist). One of the recordings (of a Stones concert from Miami back in the early 90's) gives a number with Mick'n'Keef on their accoustics. Properly tuned, they give off a warmth you don't get from cables and amps. Nice page, Wes. Kutgw. I can't play so well at present, but I think I should be able to get my left hand back into playing shape. Not to be overly impressive to anyone else, of course, but for my own satisfaction. My hands are too small for some of these. Got to stretch them out.